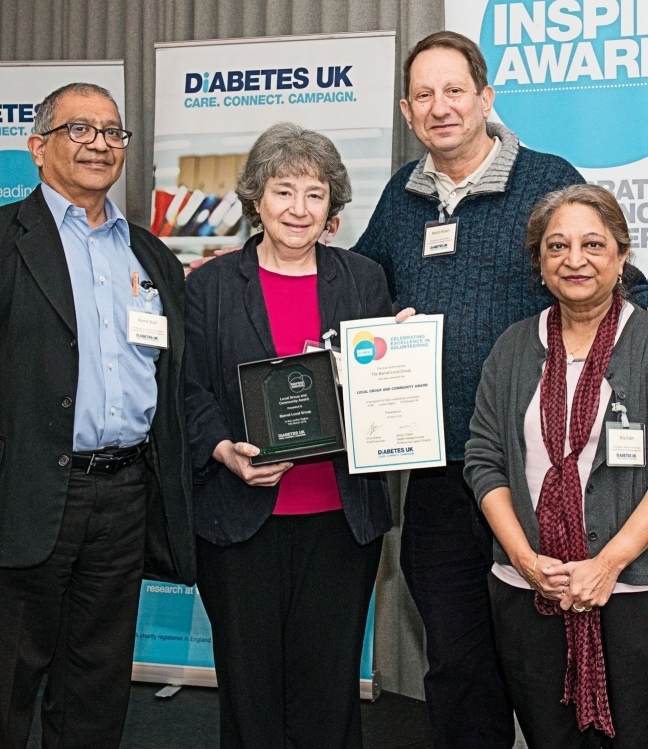 Diabetes UK, the charity for people with type 1 and 2 Diabetes has a network of around 250 voluntary groups throughout the UK. If you live in or around the London Borough of Barnet, we may be able to help you. Our aim is to provide support, companionship and information for people and their families living with both type 1 and 2 Diabetes. We hold bi-monthly meetings to discuss common issues relating to all aspects of Diabetes. We have guest speakers who talk on various topics. We also encourage group discussion and fun. We meet every other month on a Wednesday evening from 7.15pm - 9pm. We normally have a health professional talking on a diabetes related subject. East End Road, Finchley N3 3QE. See map of the area. Please check the Events list for our meeting dates, and details of guest speakers. These are informal chat evenings. Type 1 and Type 2 sit on separate tables. We meet on alternate months on a Wednesday evening from 7.30pm-9pm. The dates are listed on our Events page. No speakers, you set the agenda on the topics you wish to talk about. Look for us in The Tally Ho pub , Tally Ho Corner, High Road, North Finchley, N12 0BP . Diabetes leaflets on the table!